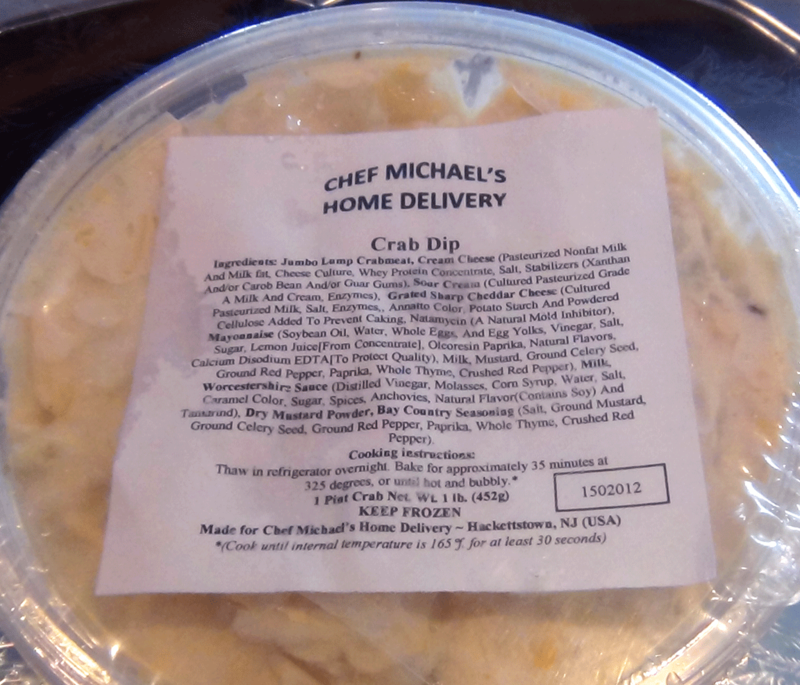 This Crab Dip is the real deal. 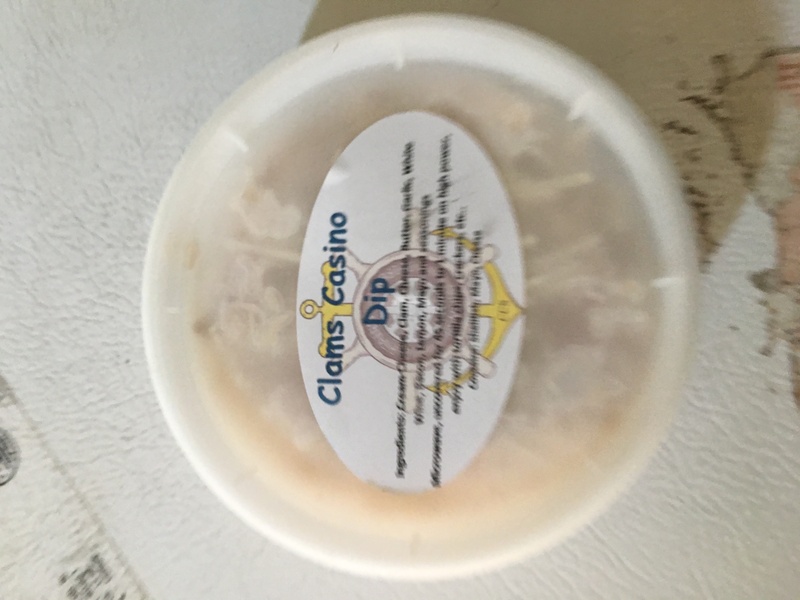 Made in a Maryland Crab Shop- this dip will impress your guests. Simply thaw and transfer contents to an oven able dish (a ramekin works well) and bake at 325°f for 35 minutes or hot and bubbly. 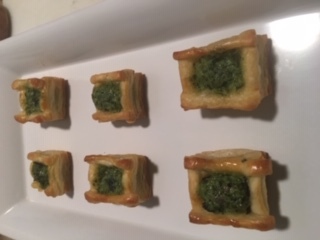 Having cooked for hundreds of parties over the years the most popular hors d’ oeuvres were always those in pastry. 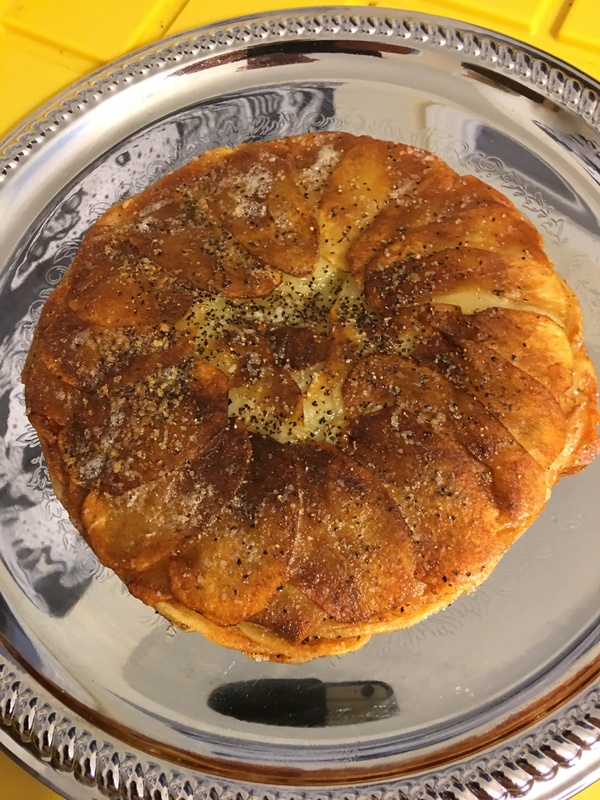 But there’s more good news- I’ve designed these pastry baskets to be easy for my customers to prepare and given their bite size proportions easy for your guests to eat. All you have to do is take them from the freezer- remove the packaging- place on cookie sheet and bake at 275°f for 20 minutes. Serve right out of the oven and watch the happy faces. Great for any holiday get together. 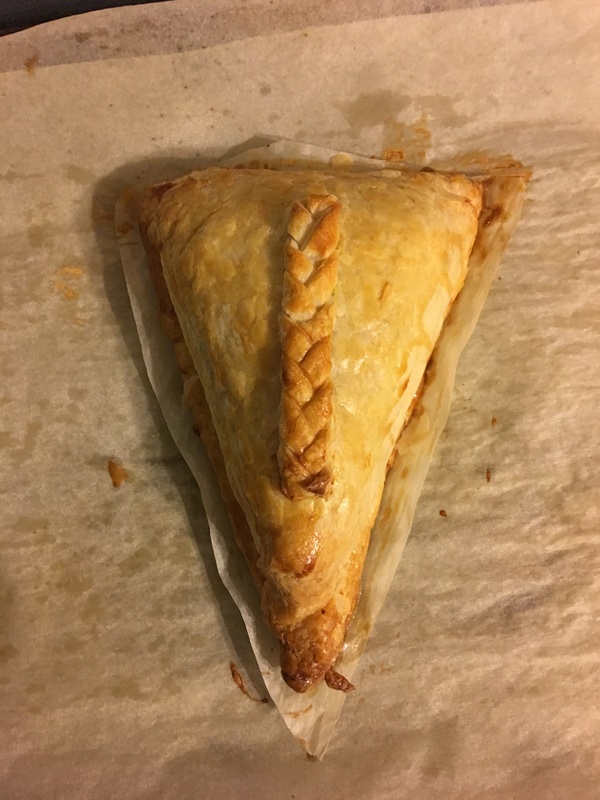 Ingredients- Puff pastry, Salmon, Smoked Salmon, Eggs, Flour, Butter, Horseradish, Fresh Dill, Fresh Lemons, Cream, Kosher salt, and Black Pepper. I really enjoy this tasty side dish. I’ve had them with steak, fish, and Chicken. 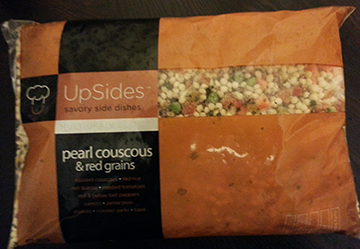 They work with practically anything and a welcome addition to my growing selection of side dishes. Super simple to prepare. Best thawed and then baked in a 350°f oven for 20 minutes. But you can cheat a bit and pop into oven directly from the freezer for 25-28 minutes (350°f). I use 3 large Idaho Potatoes to make each tart and each tart serves 4-6 people depending on the appetites involved. Here’s how you handle this magnificent potato. You need a 10 inch non stick fry pan. You can use a larger 12 inch pan but not smaller than 10. Preheat you oven to 400°f and then put the non stick pan in the oven to preheat for 7 minutes. 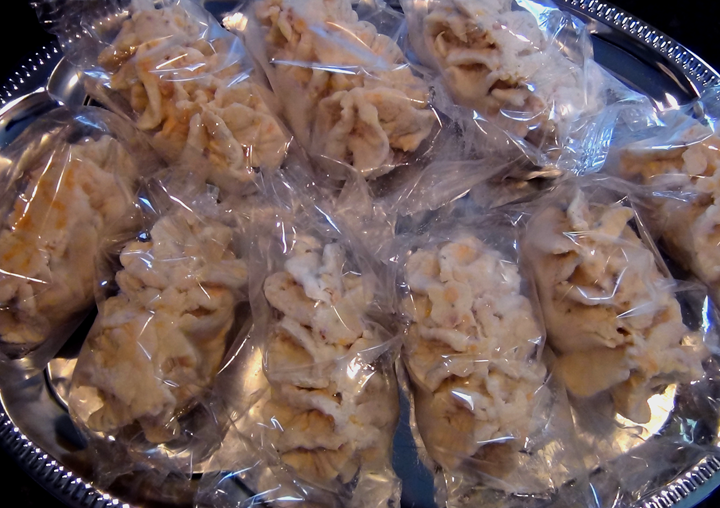 Take my Potatoe Tart right from the freezer and remove all packaging. Add aprox 2tbsp of butter to preheated pan and lay the frozen tart therein (upside down). Let bake 10 min and then flip for 10 min more. Remove tart from pan and place on cutting board and cut into 8 wedges as if cutting a pie or cake. It’s best served immediately out of the oven so time your meal accordingly. It might seem like a lot of effort to reconstitute my Potato Tart but it’s well worth it. Please resist the temptation to heat in microwave as the qualitative difference is immeasurable. Also- once you’ve navigated this procedure a few times it’s actually pretty simple and you’ll enjoy using this magnificent side dish over and over. 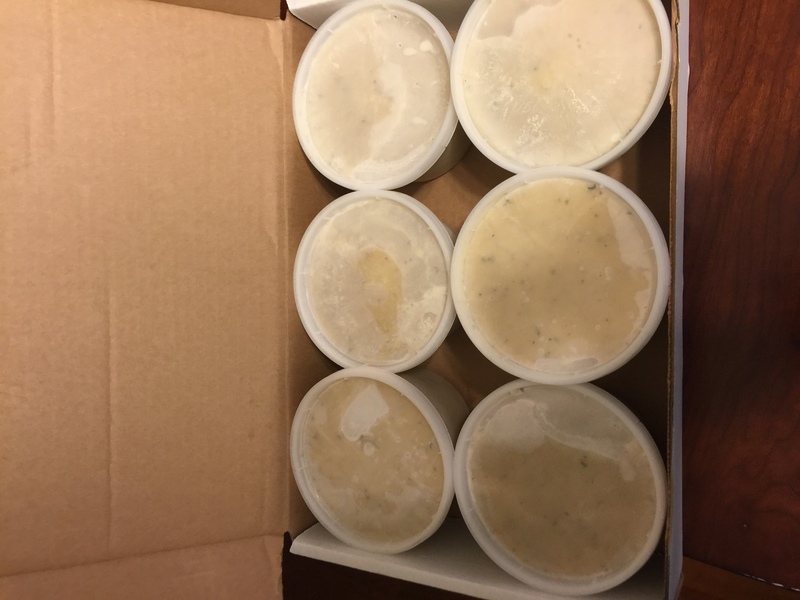 Like the Clams Casino Dip this is a great entertainment tool- perfect for hors d’oeuvres or fabulous on a Sunday morning with fresh bagels.This is so easy to work with just pop in the micro (frozen, thawed) one minute at a time and stir. Repeat until dip is warm. If entertaining just transfer to a serving ramicken and surround with high quality crackers or my preferance- cut a baguette into slices and toast. For an extra touch turn baguette croutes into little garlic croutes. Either way your guest spoons some of the dip on the croute or cracker and watch the happy faces. 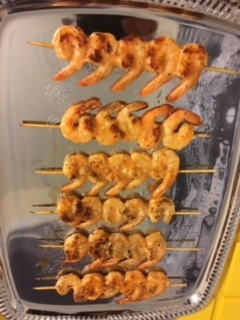 INGREDIENTS: Cream Cheese, Shrimp, Butter, Garlic, White Wine, Parmesan, Lemon, Mayo, and Seasonings. 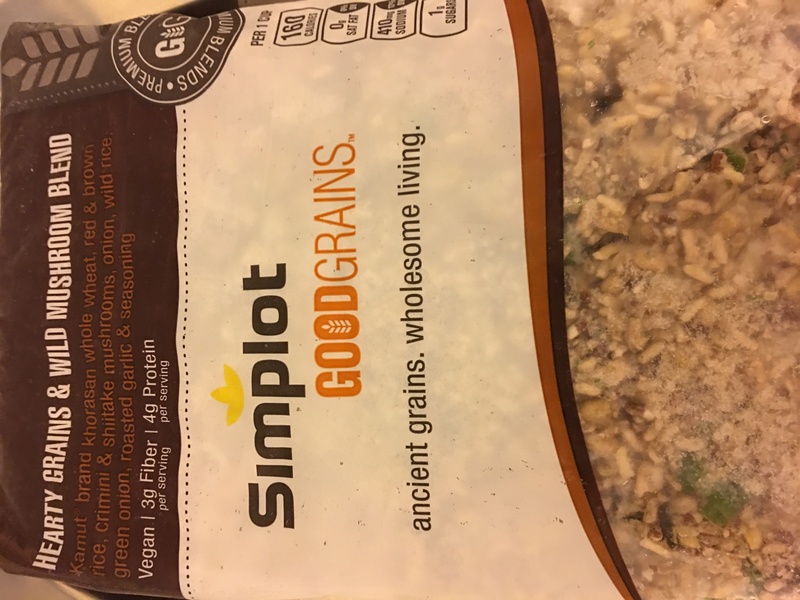 I just love my grain blends. There are four flavors and this one is Wild Mushroom centered. I love the edginess of the flavor profile as well as the ease of product execution. Simply pour onto a plate and heat in microwave. You can add things to it but it’s great as is. 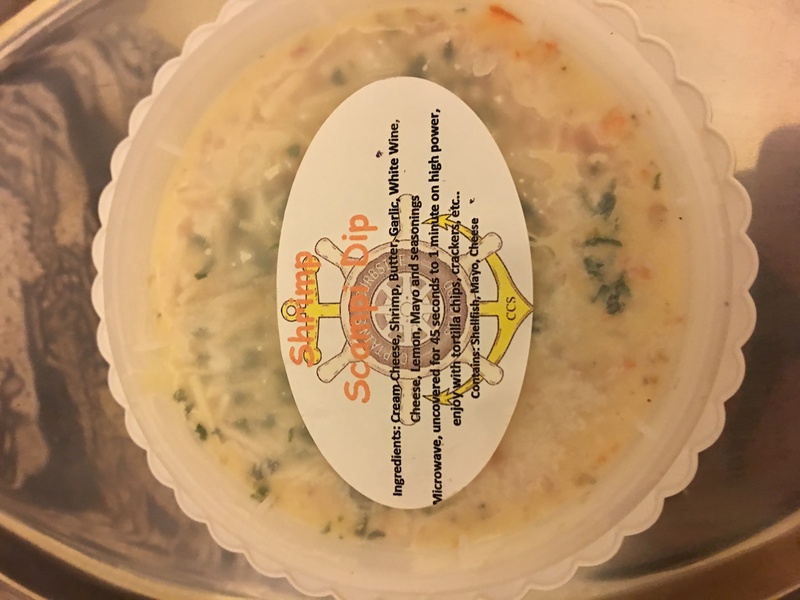 Like the Shrimp Scampie Dip this is a great entertainment tool- perfect for hors d’oeuvres or fabulous on a Sunday morning with fresh bagels.This is so easy to work with just pop in the micro (frozen, thawed) one minute at a time and stir. Repeat until dip is warm. If entertaining just transfer to a serving ramicken and surround with high quality crackers or my preferance- cut a baguette into slices and toast. For an extra touch turn baguette croutes into little garlic croutes. Either way your guest spoons some of the dip on the croute or cracker and watch the happy faces. INGREDIENTS: Cream Cheese, Clams, Parmesan, Gouda, Butter, Garlic, White Wine, Bacon, Lemon, Mayo, Red/Orange/Yellow Bell Peppers, and Seasonings. 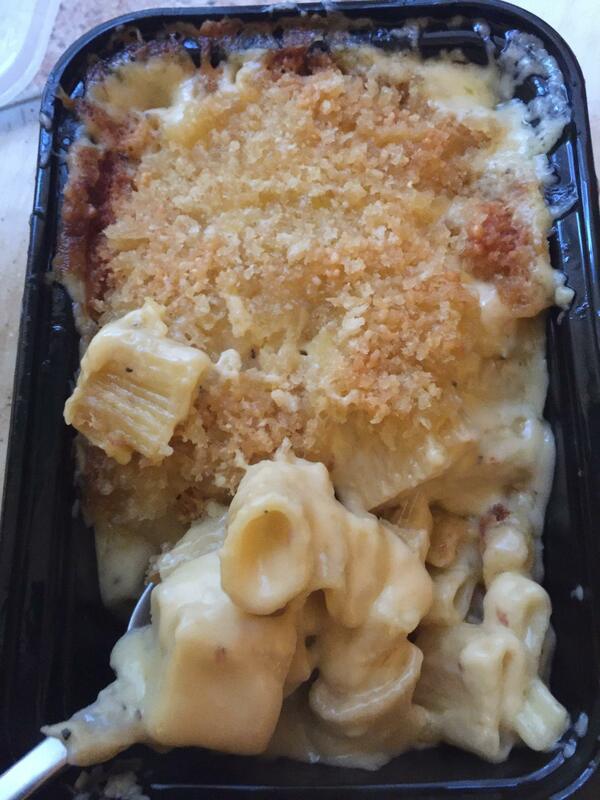 I use nothing but the best cheese within my gourmet Mac & Cheese including Pecorino Romano, Fontina, and Parmigiano Reggiano.This is a serious Mac+Cheese product. Just take from the freezer and put in micro for 2 minutes. Then pop the block out with a fork and place on a cookie sheet and bake uncovered at 350°f for 50 min for best results. 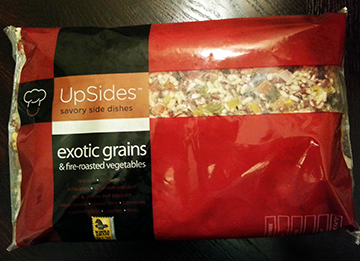 This unique side dish is easy, edgy, and tasty! Simply pour onto a plate and heat in the microwave. It’s Just that easy! Check out the amazing ingredients. Plus this flavor is gluten free. This is one of my three great vegetable blends. 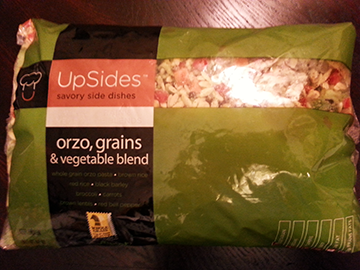 Super easy to use- just pour into something microwavable and nuke for a few minutes. Check out the great ingredients! This Brie makes a great appetizer or an elegant side on your holiday dinner table. I’m really proud of this creation. The Fig/Walnut Jam provides a sweet texture contrast and the wedge presentation is a different visual. I’ve always maintained that the difference between very good and excellent are the extra touches. That’s why I take the time to hand braid the pastry decoration that adorns the top. 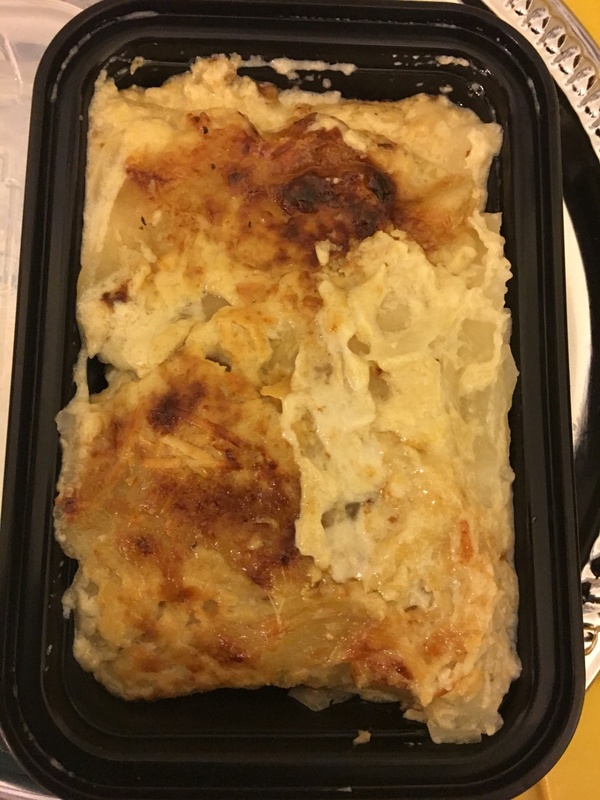 Simply take from the freezer- remove all the packaging- and place on a cookie sheet (I’ve left a piece of parchment paper underneath to keep the Brie from sticking) and bake at 385°f for 41 minutes in a preheated conventional oven. Remove from oven (remove parchment paper) and place on a little bread board to rest before serving (see pictures). While the Brie is resting (25 min) it’s a good time to present it to your guests before cutting. Also- it’s a good idea to verbally describe the preparation as I’ve titled it here. One it’s impressive and two it makes everyone aware that walnuts are in the preparation in case of allergies. 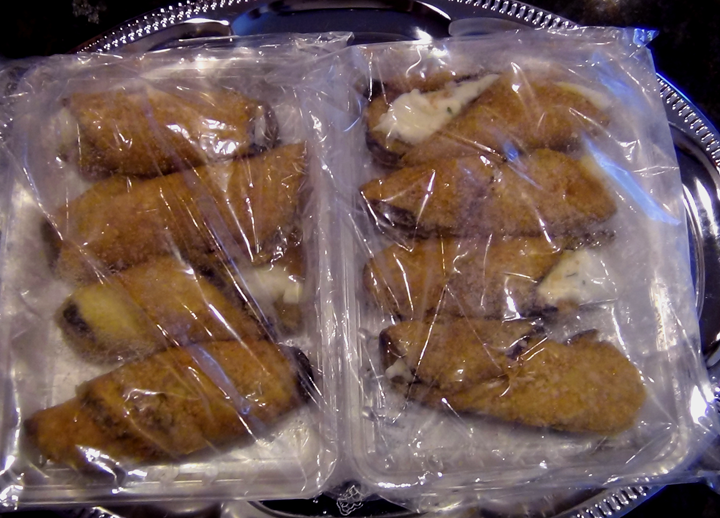 Thin slices of lightly breaded Eggplant rolled with a Ricotta cheese filling. Just follow directions and finish with shredded Mozzarella for a nice bonus touch. Also this is another all natural prepared item with great ingredients. Another excellent side dish. these are twice baked potatoes. The inside has been whipped with sour cream, chives, bacon and cheddar cheese. Right from the freezer into the oven. A great accompaniment to most meat, chicken or fish entrees. 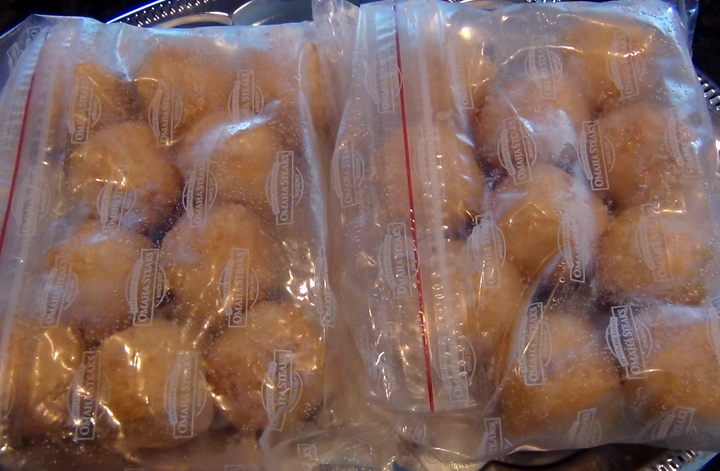 Cooking instructions- remove potatoes from plastic packaging. While frozen- bake in a 350°f oven for 40 minutes. 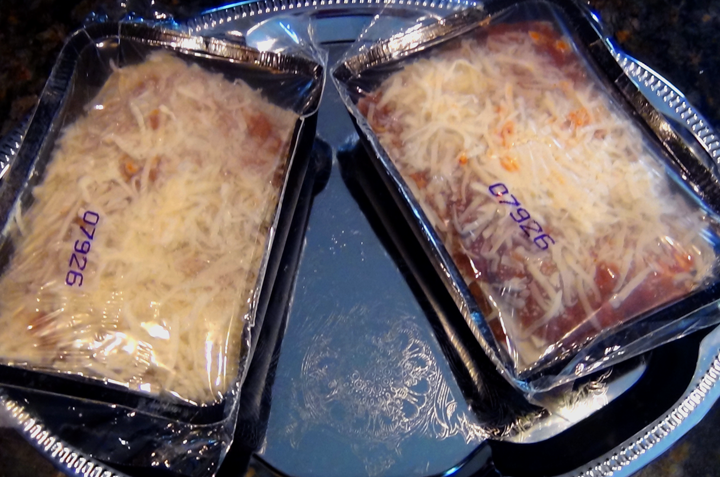 This is a high quality Lasagna that can be baked or microwaved right from the freezer. Just pop right into the micro from the freezer and nuke for 10 minutes- let sit for 5 minutes- peel off plastic top and serve. This is a rich version with more emphasis on cheese then on noodles. I like to use it as a side. So I sautée a piece of my ABF Chicken Cutlets serve a third of the tray of Lasagna with it and then garnish with garlic bread and finish with a little marinara sauce. Open the page and see the extra picture?‍? This is a fantastic side dish with an elegant flavor profile and superior ingredients. Simply heat in the microwave and serve. Awesome! This potato side dish is another super convenient item that can be baked or microwaved right from the freezer. 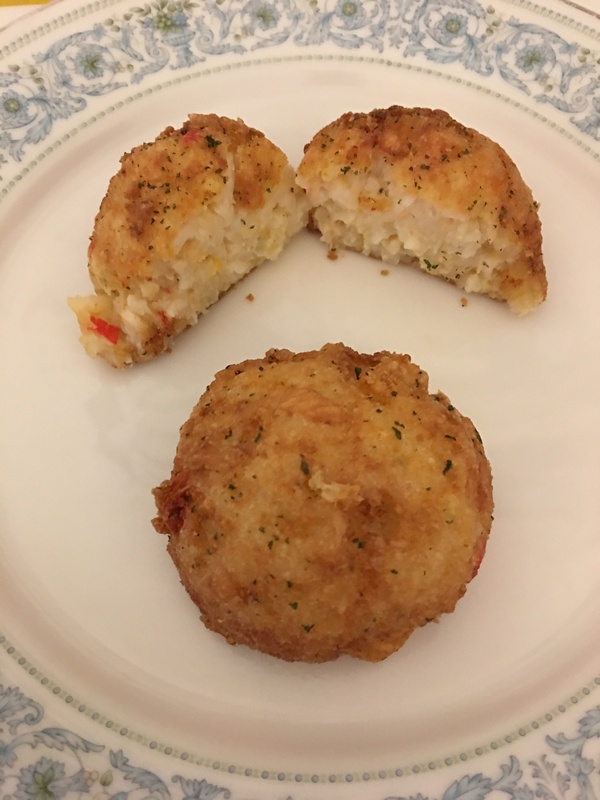 They have a delicate flavor profile and the consistency of classic croquette potatoes [mashed]. Very versatile- can be served with most entrees. They also look cool on the plate. Kids love these.